Rent-to-Owns (RTO) have been a great strategy for investors for many years. In this article, we’ll briefly discuss how it may make sense to implement legal second suites into an RTO property. 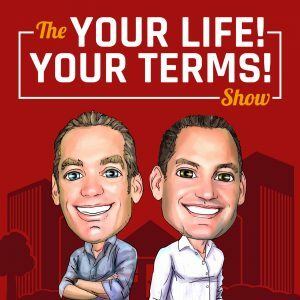 For those who are not familiar, RTOs are when you’re leasing a home to a tenant who has the option of buying the home at a later date. The tenant is not able to buy the home at the beginning usually due to a lack of funds for a down payment, and/or poor credit rating. A portion of the rent goes towards their down payment, and after a period of time, they increase their credit rating and buy the house from you at a predetermined price. The intended outcome is a win-win for you and the tenant. If they are unable to purchase the home and walk-away, you got higher rent for that period of lease, and can now find another RTO tenant. A win-win for you. For a more information on RTOs, check out: https://rockstarinnercircle.com/renttoown/. 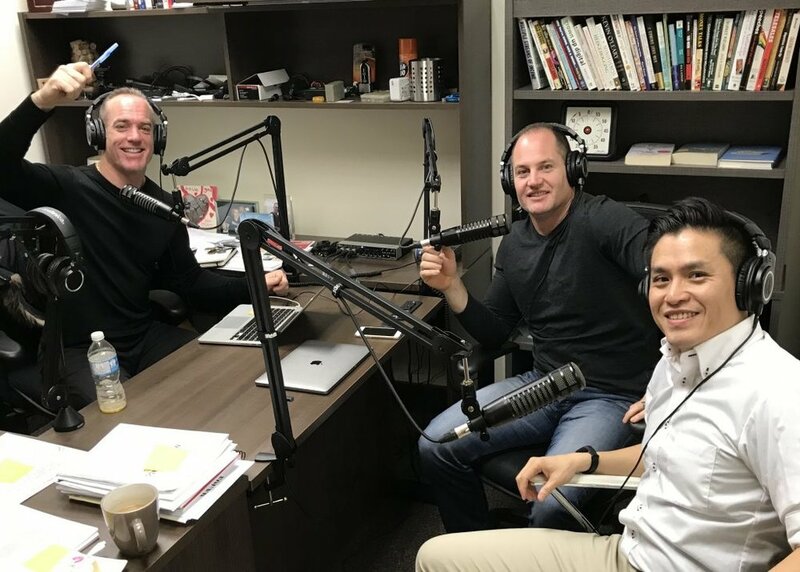 It’s a great podcast from Tom and Nick at Rockstar real estate, discussing this strategy for themselves and their 1000+ client transactions. Lately, RTOs seem to be quite popular among investors due to the restrictive lending rules, making it even more difficult for folks to qualify for a home. Adding a legal suite to a RTO can be a good option to add on to make your RTO property more appealing than others. Let’s explain why. Mortgage qualification - When it comes time to purchasing the home, they may be able to qualify for a higher mortgage due to the additional income from the suite. And being new homeowners, the second suite can be a much welcome “mortgage helper”. Many lenders will consider 100% of the income from the second suite for lending criteria, but may require that the unit is legal. 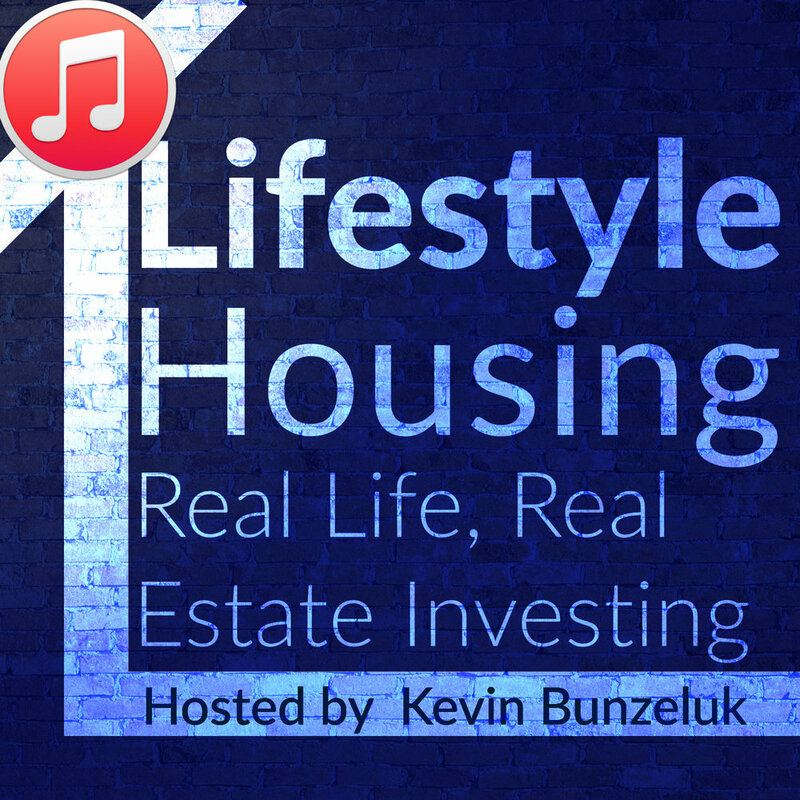 Cash flow - You should be able to rent the home for much higher if there’s a legal second suite. Your RTO may be a multi-generational household (more common among many immigrant families), where they can benefit from a 2-unit home. There’s a possibility that the second suite can be sub-leased to another tenant to help the RTO tenant qualify for a mortgage faster (thereby increasing the demand for your particular RTO property). You might even provide a service of filling the suite for them (at a fee of course). Important note: Sub-leasing a second suite may be challenging due to not being able to have the second suite tenant leave when the RTO tenant is ready to purchase the home. They may need to “inherit” that tenant when they own the home, which they may be okay with. Another option is to use it for short-term furnished rentals, such as Airbnb and Homeaway, but even that may be subject to city-by laws. So make sure you’re familiar with all the rules of city by-laws and the Landlord Tenant Board. 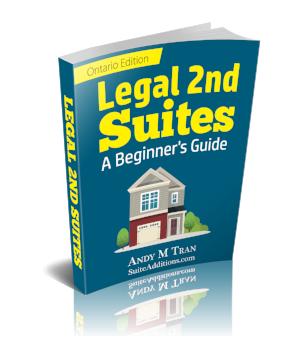 If your second suite is already legal (which may be hard to acquire). If the second suite is already completed but not done legally, and it is relatively easy for you to “legalize” it with the right measures (eg. improved fire separation, smoke alarms, egress windows, etc.). Many cities are relaxing the rules, allowing a lot of the existing portions of an illegal suite to remain (e.g., the finished walls against the exterior foundation wall). If the space is already finished (e.g. a basement recreation room). In these cases, it would be very similar to item 2 above, but you’d be adding in a kitchen, and possibly a bathroom and bedrooms(s). Buying a home, and going through the work of adding a legal second suite from scratch may not be the best strategy for RTOs from a strictly return-on-investment standpoint. But there may be RTO tenants and buyers that you can work with where this does work for them in the long-term to help on their way to obtain greater financial security. An example may be a young family who is having difficulty getting into the housing market. By guiding them with your knowledge of legal suites to help them with additional income, they may very well work with you on an RTO deal, where they may not have done so otherwise. 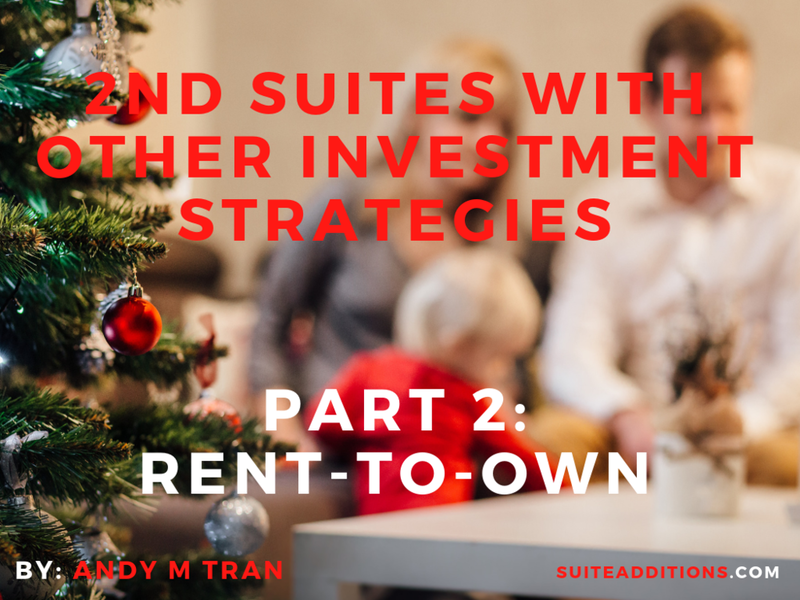 Using this strategy of adding a second suite in a RTO property is unproven, and it is up to you to run the numbers carefully to see if it makes sense for you. You certainly want to include all of your costs to add in the legal suite into the valuation of the eventual purchase price for your RTO tenants. Hope you found some useful information here. In my next article, I’ll discuss how second suites can potentially work when flipping a house. Stay tuned!